David 'DJ' Creato, right, and his attorney Richard J. Fuschino Jr. sit in Camden County Superior Court during jury deliberations on Thursday, May 25, 2017, in Camden. David "DJ" Creato Jr. pleaded guilty Wednesday to one count of first-degree aggravated manslaughter in the death of his three-year-old son, Brendan. He will serve a maximum of just 10 years in state prison, though he could be released on parole in as little as eight years and six months, the Camden County Prosecutor's Office said in a statement. The prosecution did not announce the plea until after the proceeding was over. Originally, the prosecution had aimed to put Creato away for 35 years on first-degree murder and second-degree endangerment charges. But it failed to convince 12 jurors of Creato's guilt in a lengthy trial earlier this year. The jury hung, with two jurors unconvinced of his guilt. A second trial was set for September, but that was pre-empted by the plea deal. Creato's father, David Creato Sr., confirmed his son had taken the plea, which he learned of Tuesday. He was not in court Wednesday. The senior Creato lives just down the street from the apartment in the Westmont section of Haddon Township where the father and son had shared an apartment before his son's body was found about a mile away on Oct. 13, 2015. Creato's mother, Lisa, and sister, Sarah, declined comment. Defense attorney RicardJ. Fuschino Jr. of Philadelphia also declined comment. Creato entered his guilty plea before Judge John T. Kelley, who had presided over the murder trial. That trial, which began on April 19, ended in a mistrial on May 31 after the jury could not reach a unanimous verdict . 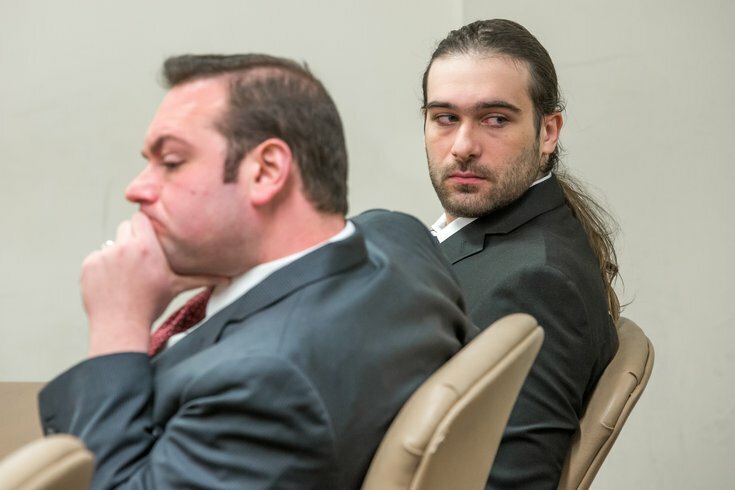 In court Wednesday, Creato testified he had recklessly caused his son’s death "under circumstances manifesting extreme indifference to the value of human life" by depriving Brendan of oxygen on October 13, 2015, according to a news release from prosecutors. Brendan’s mother, Samantha Denoto, and other of her family members who attended the trial were present in court for the plea. She did not immediately respond to a request for comment. Under the plea terms, Creato will be sentenced to 10 years in New Jersey State prison. He will be required to serve at least 8 years and 6 months of his sentence before he is eligible for parole. Creato has been in jail since he was charged in January 2016. It is uncertain how his time served will affect the duration of his prison sentence. The sentencing is set for 9 a.m. on September 29, 2017 before Kelley.